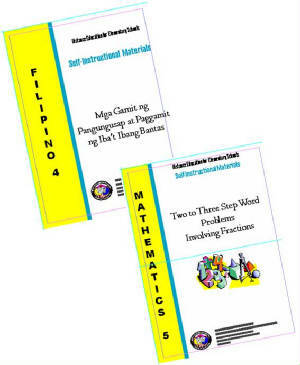 Fifty-nine (59) modules for teachers in Filipino, Science, Mathematics and English were developed this year. 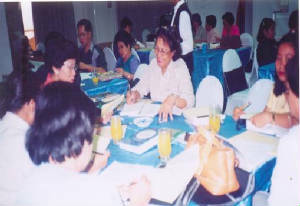 Monitoring of the pilot implementation of the DISTEACH program was also conducted in the divisions of: Cagayan – Region II, Palawan— Region IV-B, Davao City – Region XI, to generate feedback on the process and utilization of modules which were made bases in the revision and finalization of said modules. Fifty sets of testing materials were produced and administered to fifty (50) children with special needs. 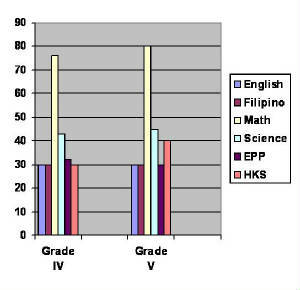 For regular pupils, English, Filipino, Science, Mathematics, EPP and HKS self-instructional materials for Grade IV and V were developed.